What a coincidence to come across a letter from composer, arranger, conductor and former TVNZ bandleader Terry Gray, dated May 25, 1991, after I blogged about him on (nearly) the seventh anniversary of his passing. Here it is for others who may be interested in a little slice of Kiwi life. It looks like ITC Garamond Book Narrow here, though the resolution doesn’t make it very clear. I sincerely hope I’m wrong when I say that the passing of Kiwi composer, arranger and conductor Terry Gray went unnoticed in our news media. I only found out last month that Terry died in 2011. As a kid of the 1970s and a teenager of the 1980s, Terry’s music was a big part of my life. Before we got to New Zealand, he had already composed the Chesdale cheese jingle, which Kiwis above a certain age know. He was the bandleader on Top Dance, what New Zealanders used to watch before the localized version of Strictly. Terry’s music appeared on variety shows and live events (e.g. Telequest, Miss New Zealand) through the decade. Country GP, The Fire-Raiser, Peppermint Twist, and Daphne and Chloë were also among Terry’s works. In the late 1980s, Terry released an album, Solitaire, which was one of the first LPs I bought with my own money as a teen. By the turn of the decade, Terry hosted live big band evenings at the Plaza Hotel in Wellington, sponsored by the AM Network—until the AM Network could no longer fund the fun, regular events and the radio network itself, eventually, vanished. Terry’s Mum used to attend in those days, and I must have gone to at least half a dozen. I also picked up a Top Dance cassette at one of the evenings. 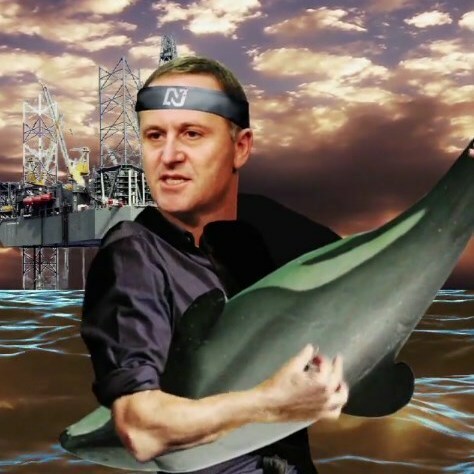 I still have a nice letter from Terry somewhere, thanking me for my support, in the days when he lived in the Hutt. I learned that he eventually moved down south, to Dunedin, and died of leukemia on July 8, 2011. On (nearly) the seventh anniversary of his passing, I want to pay tribute to Terry. Here he is in action in Top Dance, hosted by Lindsay Yeo, in 1982. As a child growing up in Wellington, there were a few TV series that shaped my beliefs about being grown-up in the occident. 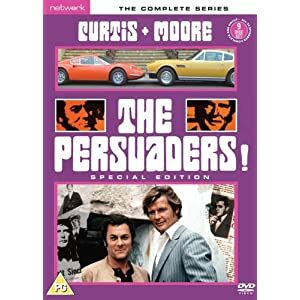 The ﬁrst I’ve written about before: The Persuaders, which is in part where this blog gets its name. I’ve probably mentioned Return of the Saint elsewhere, not to mention the plethora of TV detectives and cops. It’s the old-fashioned idea that good beats evil, and that one man can make a difference. But there was also one movie that appealed to me. Tonight I watched, for the ﬁrst time since the 1970s, The Wrecking Crew. This was the ﬁnal Matt Helm spy pic starring Dean Martin, and it’s amazing what sticks in your memory from age ﬁve, when this was aired on television. Considering my memory goes back to c. nine months, I realize remembering stuff at ﬁve is not that remarkable, but I surprised myself at what visuals I recalled, nearly perfectly. It may have also shaped my idea that when you rescue the girl, you have to sing like Dean Martin. If anyone wants to lay blame somewhere for my impromptu crooning at parties (or, more embarrassingly, at restaurants), this is where it all started. This is also why I sing ‘Everybody Rock Your Body’ to the tune of ‘Everybody Loves Somebody’. As a child, I had no idea there was a series of Matt Helm ﬁlms. So, as a teenager, I began renting them or recording them off telly. When I saw Murderers’ Row air on TV1 in 1982, I set the video recorder to tape it, but could see nothing from it that I remembered from the ﬁrst time I watched a “Dean Martin spy ﬂick”—I could not remember the title of what I had seen in 1977. At ﬁve, I actually didn’t care. Then there was The Silencers, actually the ﬁrst movie, rented at the Kilbirnie Video Centre around 1990. Hmm, still not the one I saw. I then rented The Ambushers, the only other one they had there—still not it. So, by process of elimination, I knew it had to be the last one, The Wrecking Crew—or I could not trust my memory. Finally, thanks to DVD, over three decades on, I was able to relive what I saw as a ﬁve-year-old—and it was this one after all. This gives you an idea of what piqued my interest as a child. 1. That the bad guys had a Mercedes W111. 3. Dino punching some guy in a Merc and running off. 4. This set, meant to be the interior of a train. 5. Villain Nigel Green’s trap door on his getaway train. 6. Dino making sure Sharon Tate didn’t fall through. 7. Dino making sure Nigel’s stuntman did fall through. I presume I knew who Dean Martin was probably because of my mother, who explained it—this was back in the day when parents made sure that what you watched was OK before they went off and prepared dinner. I can’t remember what was on the other channel, but I must have enjoyed this sufﬁciently to have stayed with it—and there were no remote controls for Philips K9 sets. Might have to watch it again tonight. It was genuinely ridiculous, but certainly better than The Silencers (whose theme you still occasionally hear on Groove 107·7 FM here in Wellington) or The Ambushers. Watch out for the second-unit actors on location and the fact that Dino and Sharon Tate stayed ﬁrmly in Hollywood; the fake grass on top of padding which moves when Dino pushes down on it; the director’s expectation that we could believe Dino’s character could build a helicopter from bits in a few minutes; and the really bad ride Mac (the boss) has in his Lincoln Continental. I’d still pick Murderers’ Row as the best one of the lot, thanks to Ann-Margret being very groovy, Dino’s Ford Thunderbird with rear lights that doubled as a dot-matrix display, the Lalo Schifrin score, and Karl Malden being evil. My John Barry top 10: ready when you are, J. B. 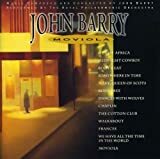 What are my top 10 John Barry picks? The man had done such a variety of compositions that it’s hard to pick them out without qualifying a top 10 with genres. But for me, these stick in my mind as being the most signiﬁcant, often because they are tied to important moments in my life. This moved me so much that I played it at my Mum’s funeral. I wrote lyrics to it before the Michael Crawford version emerged. Barry said he received more mail about his work on Somewhere in Time than anything else. It’s not hard to see why. It was tied to the passing of his parents and the theme remains the most haunting and emotional tune he wrote in his career. You can’t divorce the feeling of running around the Riviera from the hipness of Barry’s theme—I used to bomb along the Moyenne Corniche with the theme going, reliving Danny and Brett’s adventures. 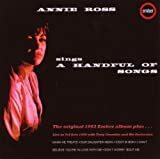 Not a Barry composition, but he produced an album for Annie Ross at Ember. It’s the arrangement and Johnny Spence’s orchestra’s performance that lifted this song for me, and it never fails to get me in a good mood. 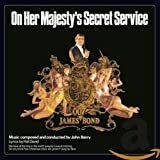 While many 007 aﬁcionados point to Goldﬁnger, for me, it was the lush orchestral arrangements in OHMSS that stand out to make it John Barry’s ﬁnest James Bond score. The theme is more Bondian than anything else he did, in my opinion, and lent the ﬁlm more richness than its lead actor, a young George Lazenby, was then able to convey. 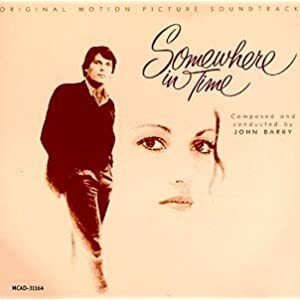 ‘We Have All the Time in the World’ nearly deserves its own entry, especially the string-heavy instrumental version played after the death of Tracy in the ﬁlm, but much of the incidental music just has vistas of Swiss mountains somehow built in. You can’t help but see those images in your head when tracks such as ‘Journey to Blofeld’s Hideaway’ and ‘Attack on Piz Gloria’ are played. 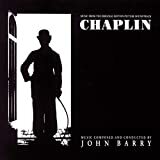 The 1990s were the last active decade for Barry, if you don’t count Playing by Heart and Enigma at the turn of the century, and with Chaplin, his last collaboration with director Richard Attenborough, a mature Barry is able to reﬂect on the passing of time as well as that of Charlie’s life. The score is moving, more so in my opinion than his Oscar-winning Out of Africa or Dances with Wolves (the latter, I thought, was overrated) as it takes the action from London slums to Charlie receiving an Academy Award in 1972. This was a TV-movie about the First Family, but its theme still has a sense of occasion and “American-ness” to it. I always thought if I ever chose to get married, it would be a lovely theme to use. Unlike many of Barry’s grand themes, Eleanor and Franklin doesn’t have a sense of sorrow or melancholy to it, yet it gives any occasion a feeling of dignity. Deserves inclusion here, not because it was one of Barry’s greatest works (he wrote it as a Disney pastiche), but because there’s no way you can be my age and not know it. It’s a song from childhood; my late mother was called Elsa (sharing her name with the lioness); and it’s incredibly singable. Like a pastiche of a Disney song. Another non-Barry theme song, but tied to Barry because of his long involvement in the James Bond ﬁlms. He arranged and conducted the theme for the movie, and the Matt Monro vocal version remains one of my favourite Bond songs. 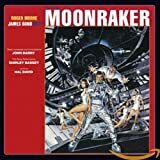 Bond purists hated Moonraker because it was the furthest Eon Productions took things from the novels of Ian Fleming, but it was blessed with a lush orchestral score from Barry. 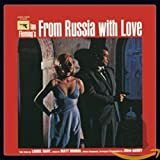 The Bonds, by this time, didn’t need to have a cutting-edge sound, and Barry himself, maturing as a musician, took a classical route toward the end of the 1970s. The theme was sung by Shirley Bassey and, in my opinion, remains one of the better ones; and Barry proved that you didn’t need heavy drumbeats, rapid rhythms, or Bee Gees-style synthesizers (cf. The Spy Who Loved Me) to make a Bond score work in 1979. The theme was rumoured to have originally been destined for Frank Sinatra to perform, but, according to Barry, ‘it just didn’t work out.’ Sadly, the masters for a lot of the work done by the French orchestra have gone, which meant when the soundtrack was reissued in 2003, it was no different to the abbreviated one that came out in 1979. Because of the low opinion many Bondophiles have of the movie, it’s unlikely to be re-recorded any time soon—though with Barry’s passing, it may ﬁnally be rediscovered as the gem that it is. I know I did this on November 23 on my Tumblr, but I have to share this joke with the Ashes to Ashes fans out there. Will the opening of Upstairs, Downstairs on Boxing Day on BBC1 (at 9 p.m.) begin with the Alexander Faris theme tune (see also below), or will Keeley Hawes narrate, ‘My name is Alex Drake. I’ve been shot and that bullet has taken me back to 1936’? Above: Alexander Faris conducts his theme for Upstairs, Downstairs. I defy those of you over a certain age to not have the words ‘What are we going to do with Uncle Arthur?’ running through your head.